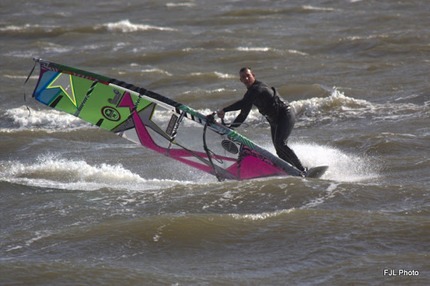 East Coast Windsurfing Website | East Coast Windsurfing Festival L.I. ECWF L.I. June 6th and 7th 2015 at Heckscher State Park!! Heckscher has been on fire this year!!! Here’s clip of Mike Burns warming up in the contest area. Also get ready for the third annual ECWF Cape Cod!! LATEST NEWS: The following is the tentative schedule of events for the ECWF LI this weekend. SATURDAY: Please be on time. We can’t hold up races for the stragglers. That said most folks end up missing a race somewhere anyway and the lowest score will be dropped if we have enough rounds (more than 6). The only reason we’d keep running a little later is if the wind comes up and EVERYONE wants to keep going OR we weren’t able to get off enough heats to feel comfortable about placing in the finals on Sunday. Basically we need at least 4 races and 3 rounds of freestyle completed on Saturday. Sunday: The time of the skippers meeting and first start will be announced at the end of Saturday’s festivites. As long as Saturday runs smooth, we should be looking at similar timing on Sunday. Raffle Prizes are already pouring in from our awesome sponsors. Below is a list of what you can win in the raffle. The only way to get a ticket is to enter a race so sign up today!! Below is a current list of prizes.